Brooklyn New York is a residential borough of New York City. The Brooklyn Bridge, the world's first steel suspension bridge, directly connects this bedroom community to Downtown Manhattan. Great views of the Brooklyn Bridge and the Brooklyn community can be seen from the top of Pier 17 at South Street Seaport in Manhattan. Brooklyn is known for its neighborhoods. 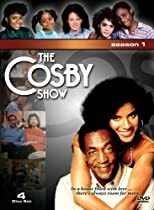 The most widely known Brooklyn neighborhood is Brooklyn Heights, the location of the upper middle class Huxtable family residence on The Cosby Show. Brooklyn Heights is characterized by brownstone houses and the Promenade - a half mile of panoramic waterside views of the city scape. 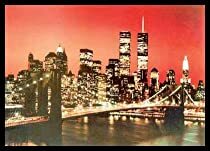 DUMBO (Down Under the Brooklyn Bridge) is characterized by cobblestone streets, industrial loft buildings, contemporary restaurants and an art scene. Brooklyn Heights and DUMBO are the neighborhoods closest to the Brooklyn Bridge. Another neighborhood close to Manhattan is Williamsburg. Located north of DUMBO, Williamsburg contains a large diverse population of Jewish, Polish and Puerto Rican residents. It is also popular with aspiring artists, dreamers, musicians and writers. Bedford Avenue in Williamsburg is the location of popular stylish boutiques, restaurants and bars. BoCoCa is an area of south Brooklyn that consists of three neighborhoods: Boerum Hill, Cobble Hill and Carroll Gardens. BoCoCa is known for unique shops and restaurants with world class cuisine. These shops and restaurants can be found on Court Street and Smith Street. 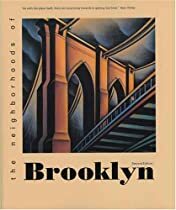 Brooklyn's Fort Greene is an international neighborhood and the location of Brooklyn Academy of Music - the home of traditional and contemporary performing arts that include dance, music, music-theater, opera, theater as well as independent and foreign films. Much of Brooklyn's artistic activity takes place in Prospect Heights. During the summer, one of New York City's festivals, Celebrate Brooklyn, features concerts with international acts at the Bandshell in Prospect Park. This park was designed by the creators of Central Park in Manhattan and includes Leonard Ursachi's Hiding Place - a shelter made from willow branches, a lake with pedal boats for rent, ball fields, barbecue grills, a carousel, a zoo and hiking trails in the narrow gorges of Brooklyn's only forrest. Other Prospect Park attractions include the Audubon Center featuring wine and cheese cruises, Brooklyn Museum and the Brooklyn Botanical Gardens. Probably the most widely known attraction in Brooklyn is Coney Island. Located in the southern most portion of Brooklyn, this island features a boardwalk that leads to the New York Aquarium on the west end and Brighton Beach on the east end. Coney Island is also the home of the Brooklyn Cyclones minor league baseball team. The Cyclones are an affiliate of the New York Mets. Admission to the Brooklyn Children' Museum, Brookly Museum of Art, New York Aquarium and the Prospect Park Zoo, is included in the purchase of a New York City Explorer Pass.